When the weather gets colder, it’s not exactly feasible to spend the weekend working on our tans. Thus, when we’re heading out for the evening, the absence of a bronze glow is ever obvious. The good news is we’ve discovered some incredible sunless tanners that deliver immediate color (since who really has “three to five days” for a gradual tan to develop, anyway?). Before we get to the products, it’s important to be aware of the prepping process for a perfect faux glow. Always remember to exfoliate, exfoliate, exfoliate—rough, dry skin will absorb the tanning lotion in patches, making for a less-than-desirable look. 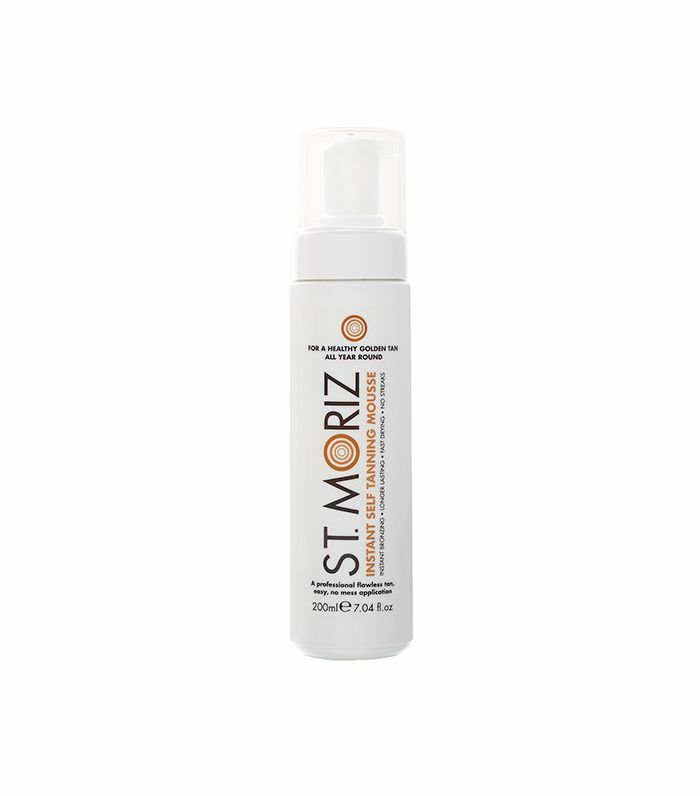 Additionally, apply regular lotion on rough areas of skin, like knees, elbows, heels, etc., to provide a thin film so the self-tanner won’t absorb too deep and leave dark patches. Lastly, always remember to shave your legs first! Having stubble could make the application a bit tricky (as you can imagine). Now, onto the products! Scroll through to see some of our favorite picks for yourself. It’s a cult classic for a reason. This mousse absorbs super fast, meaning quicker drying time and less color transfer onto clothing (the worst!). 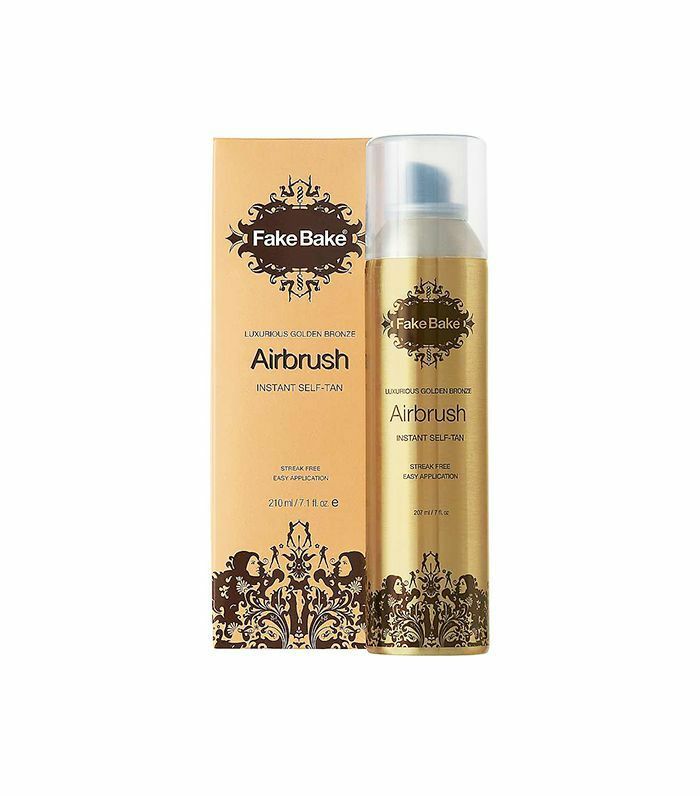 Get a salon-worthy spray tan right at home. 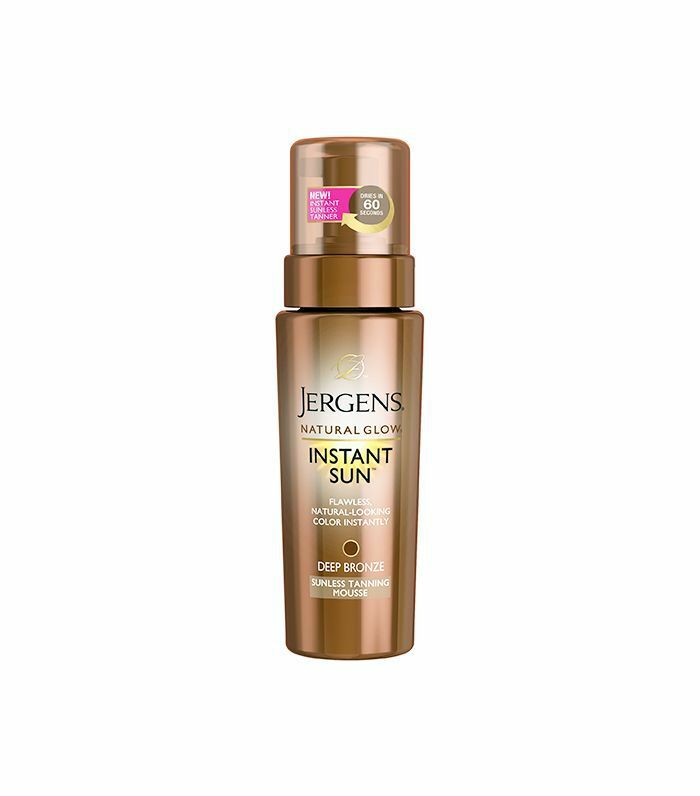 This continuous allover tanning spray appears instantly and dries just as fast as it goes on. 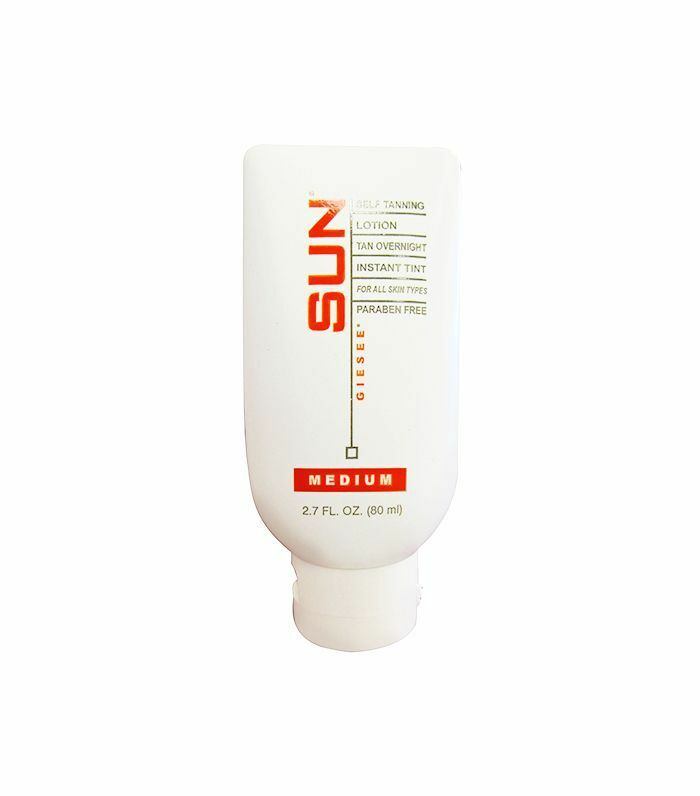 If the “gel” aspect of this sunless tanner is giving you pause, rest assured that it’s oil free and fast drying with gorgeous back-from-the-beach results. 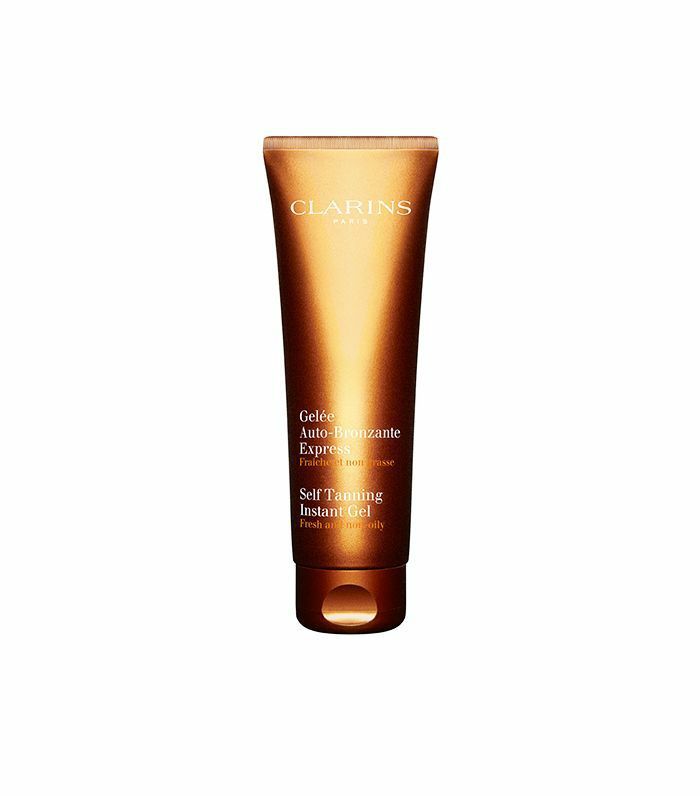 This long-lasting mousse not only gives off a beautifully natural color but also smells good. A two-for-one? We’ll add that to our basket! 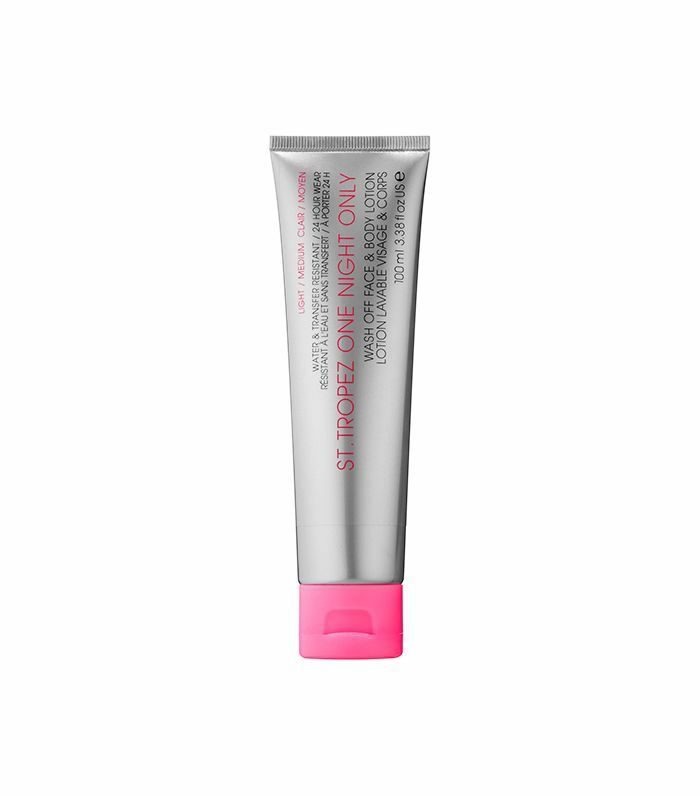 While the color does take around three hours to completely develop, this lotion still develops a pre-bronze as soon as it’s applied to the skin. Apply it after showering, and by the time you’re out the door for your night on the town, you’ll be a bronzed beauty. The mitt isn’t even the most brilliant part of this product. It’s enriched with maracuja and vitamin C for firm, bright, and smooth skin, so not only are you getting an instant tan, but you’re getting essential skin benefits, too! Transport yourself to the island in seconds. This streak-free lotion dries quickly and lasts 24 hours, perfect for a quick “night of” glow. Which sunless tanner is your go-to? Tell us below!